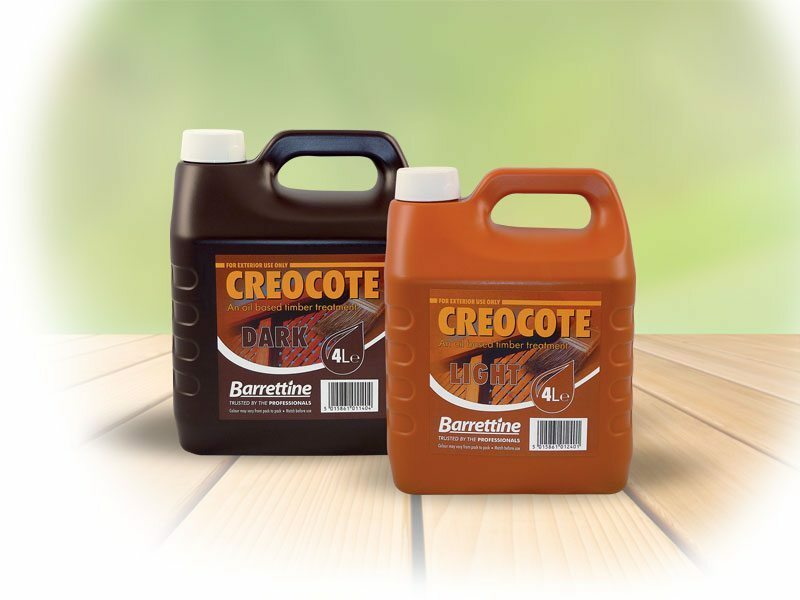 Creocote has similar physical/water repellency/application characteristics of traditional Creosote but contains no biocide/preserver. 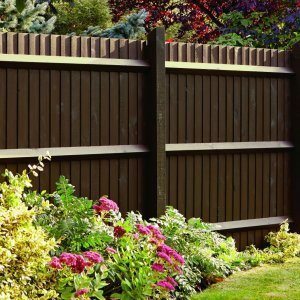 Creosote is only available under licence please contact your local authority with regard to supply and use of Creosote. 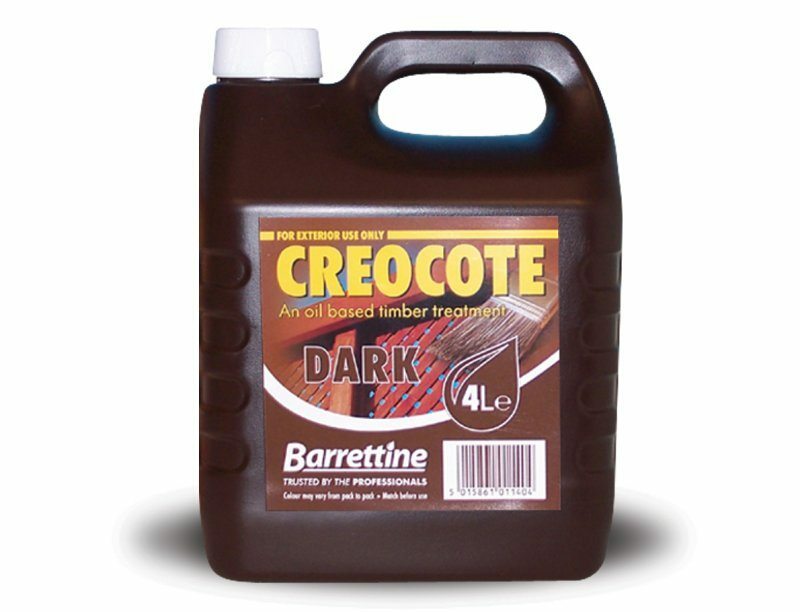 Creocote is a oil based treatment that helps to protect exterior rougher cut timber by repelling water and preventing ingress. 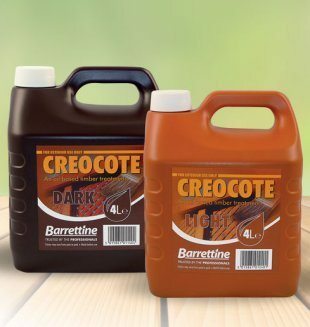 Creocote is available in 4 litre containers and two colour Light or Dark Brown. 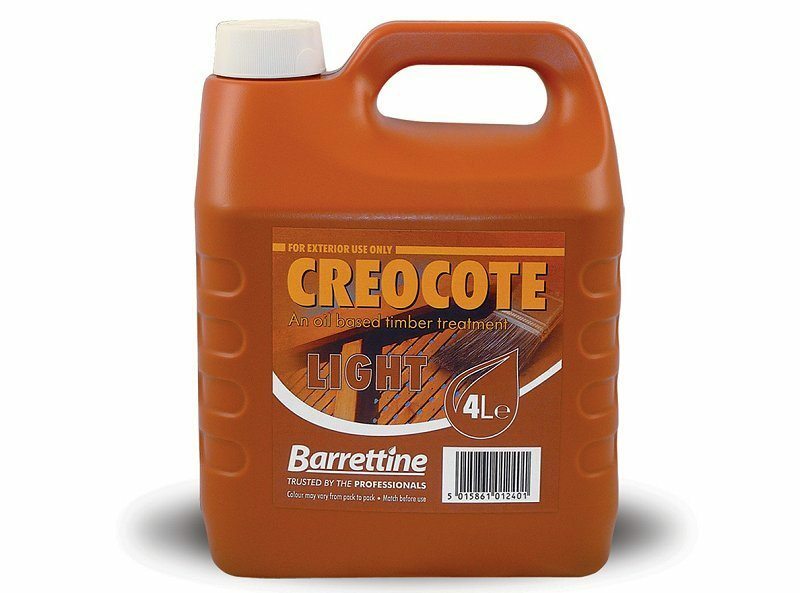 Creocote is for exterior use only, not suitable for decking or garden furniture, MUST NOT be used in close proximity to any water sources and only above ground. 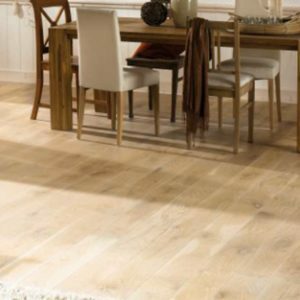 Ensure wood to be treated is dry, free from dirt and repellent coatings such as paint or varnish (remove and sand down as required). Apply product via brush or spray in suitable conditions. (Make sure weather conditions are dry and still). 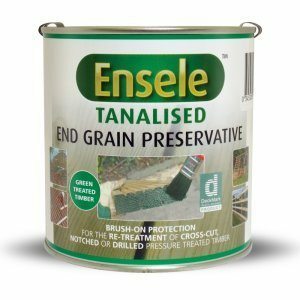 Coverage 1 litre to 6-8 sq metres per coat. Apply 2 coats for best results to bare or stained wood, not painted. If several containers are to be used mix before use as colours can vary from batch to batch. 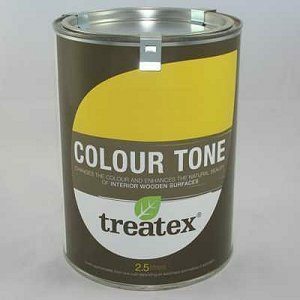 We also stock Osmo, Treatex, Liberon and Ronseal micro porous wood stains and paints in a variety of tin sizes. THIS IS ONLY AVAILABLE FOR COLLECTION FORM OUR IPPLEPEN SITE. Restrictions apply please call for details.